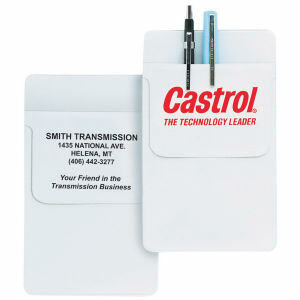 Protect your clients’ and employees’ pockets from any potential mishaps with our custom promotional pocket protectors. Nerds aren’t the only people who wear customized pocket protectors. We all stuff random junk in our pockets, and the last thing we want is an accidental mess ruining an article of clothing. Anyone who hates having cheap pens explode in their shirt pocket will love receiving personalized logo pocket protectors. 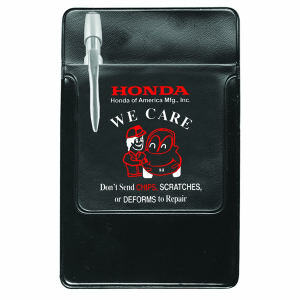 Plus, promotional pocket protectors are a highly visible marketing tool, and are an effective way to display your corporate logo to a large audience. Custom promotional pocket protectors are a great way to have your brand seen on a daily basis by many people across different industries. 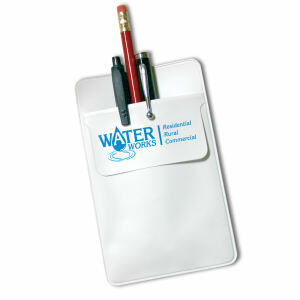 Our products make great gifts or giveaway items at marketing events when imprinted with your company name and logo. 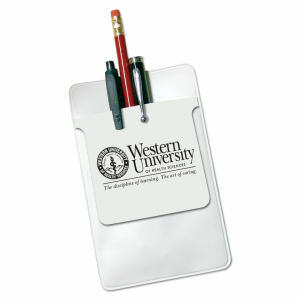 Contact the promotional products specialists at IASpromotes.com today to create a highly useful, and highly effective, custom item for your brand!